Whiplash is an injury to the neck caused by the neck bending forcibly forward and then backward, or vice versa. The injury usually involves the muscles and ligaments of the neck. Most whiplash injuries are the result of a collision that includes sudden acceleration (increase in speed) or deceleration (decrease in speed). Many whiplash injuries occur when a person is involved in a rear-end automobile collision, or as a result of a sports injury, particularly during contact sports. People who have been in a motor vehicle accident, often complain of neck pain and stiffness afterwards, sometimes not until a few days after the accident. For most people the pain is mild, does not interfere with their normal activities and gradually gets better. However, for some people, recovery is slower, especially if the injury is more severe. Research indicates that people who carry on with their normal activities recover faster than people who stay at home and reduce their activities. Neck pain is the most common symptom associated with a whiplash injury, with the level of pain intensity varying to a large degree between each person. Additionally, some bruising may occur in the seatbelt area. If rotation or turning of the neck is involved, then other structures in the neck may be affected, such as the nerves which pass between the vertebrae and out to the arm. The symptoms of whiplash may resemble other conditions and medical problems. Always consult your physician for a diagnosis. For mild to moderate severity of injury, early physiotherapy helps to ensure a full and quicker recovery. However, for severe injuries, physiotherapy for the neck may not be practical until a period of five to seven days has passed as the patient is in too much pain during the initial period. Symptoms can last anywhere from a few weeks to a several months. Most people who have whiplash can return to their regular activities within two to seven days and experience only very minimal pain by this point in time. In very few cases, minor and occasional symptoms can last longer but are usually not significant enough to impact one’s lifestyle. The most important factor in reaching full recovery is a “don’t give up” attitude and a focus on returning to previous activities of daily leaving, while taking the focus off pain as much as possible. Even minor crashes can be distressing. Some psychological changes such as irritability, forgetfulness and poor concentration are quite common after moderate or severe injuries. Depending on the precise circumstances of the accident, psychological symptoms may be severe enough to be investigated by a psychiatrist or a psychologist (this only occurs in some cases). It is important to regain one’s confidence in driving as soon as it is physically possible to do this.If psychological issues such as fear of driving or frequent accident flashbacks continue to persist, our therapists will recommend a Psychological Assessment by a Psychologist to determine the need for treatment sessions to address these issues. In most cases, only a few treatment sessions are needed to help a client move forward and allow for a shift of focus towards the physical healing process. ice applications for the first 24 hours – applying a cold pack, or even a small bag of frozen vegetables, such as peas or corn, placed in a light towel to the sore area for 10-15 minutes every few hours can be helpful. This will decrease the inflammation and cramping. after 24 to 48 hours, use of both heat and cold can give you relief. Alternating between these can be helpful. cervical (soft) collar – rest your neck by wearing a soft supportive collar or small towel roll pinned under the chin as needed for fatigue. Take care to preserve the normal curve of the neck when wearing a support. This should generally be worn for only two to three days, and definately for not longer than one week, as relying on a collar for a longer period can potentially be harmful; the muscles supporting your neck can become weak. To date, no definite conclusion can be drawn about the efficacy of cervical collars. More research in this area is required. gentle active movement after 24 hours – movement is important for healing. Move the head frequently and gently in all directions, as long as the movement is comfortable and not forced. nonsteroidal anti-inflammatory medications – take these as directed and approved by your doctor. Inflammation is inevitable after whiplash so these medications can prove to be of significant importance during the first week post injury. If you are in a car accident, it is very important to follow your doctor’s directions and physiotherapist’s instructions as best as you can in order to quicken your recovery. This is a serious injury which should be dealt with accordingly. People injured in car accidents sometimes experience a strain of the neck muscles and surrounding soft tissue, known commonly as whiplash. This injury often occurs when a vehicle is hit from the rear or the side, causing a sharp and sudden movement of the head and neck. Whiplash may result in tender muscles (Grade I) or limited neck movement(Grade II). This type of injury is usually temporary and most people who experience it make a complete recovery. If you have suffered a whiplash injury, knowing more about the condition can help you participate in your own recovery. The following information summarizes current scientific research related to Grade I and II whiplash injuries. Most whiplash injuries are not serious and heal fully. Signs of serious neck injury, such as fracture, are usually evident in early assessments. Health care professionals trained to treat whiplash are alert for these signs. Pain, stiffness and other symptoms of Grades I and II whiplash typically start within the first 2 days after the accident. A later onset of symptoms does not indicate a more serious injury. Just as the soreness and stiffness of a sprained ankle may linger, a neck strain can also feel achy, stiff or tender for days or weeks. While some patients get better quickly, symptoms can persist over a longer period of time. For most cases of Grades I and II whiplash, these symptoms gradually decrease with a return to activity. Continuing normal activities is very important to recovery. Injured muscles can get stiff and weak when they’re not used. This can add pain and can delay recovery. A return to normal activity may be assisted by active treatment and exercises. Return to activity maintains the health of soft-tissues and keeps them flexible – speeding recovery. Physical exercise also releases body chemicals that help to reduce pain in a natural way. To prevent development of chronic pain, it is important to start moving as soon as possible. Avoid sitting in one position for long periods. Sit at your workstation so that the upper part of your arm rests close to your body, and your back and feet are well supported. Adjust the seat when driving so that your elbows and knees are loosely bent. Avoid contact sports or strenuous exercise for the first few weeks to prevent further injury. Ask your health professional about other sporting or recreational activities. Make your sleeping bed comfortable. The pillow should be adjusted to support the neck at a comfortable height. Research indicates that successful whiplash treatment requires patient cooperation and active efforts to resume daily activity. A treating health care professional will assess your whiplash injuries, and discuss options for treatment and control of pain. Although prescription medications are usually unnecessary, temporary use of mild over-the-counter medication may be suggested, in addition to ice or heat. 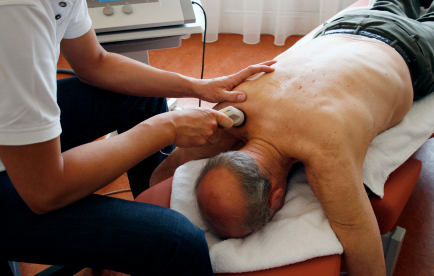 Your treating health care professional may recommend appropriate physical treatment. Some whiplash sufferers are reluctant to return to activity, fearing it will make the injury worse. Pain or tenderness may cause them to overestimate the extent of physical damage. If your health professional suggests a return to activity, accept the advice and act on it. Stay connected with family, friends and co-workers. Social withdrawal can contribute to depression and the development of chronic pain. If you are discouraged or depressed about your recovery, talk to your health professional. Focus on getting on with your life, rather than on the injury! Properly adjusting the height of your car seat head restraint (head rest) will help prevent whiplash injury in an accident. In an ideal adjustment, the top of the head should be in line with the top of the head restraint and there should be no more than 2 to 5 cm between the back of the head and the head restraint. This information does not replace advice from a qualified health care professional who can properly assess a whiplash injury and recommend treatment. The information highlights the latest available scientific research on whiplash and has been endorsed by the Ontario Physiotherapy Association, the Ontario Massage Therapist Association, the Insurance Bureau of Canada and other organizations. 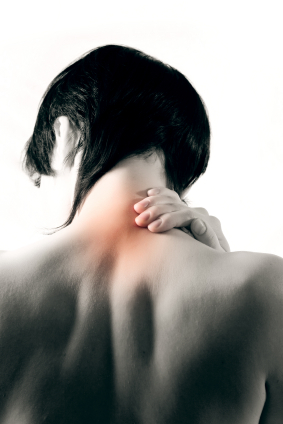 Think about your work and work loads to avoid unnecessary strain on your neck and avoid heavy lifting initially. When sitting, change your posture regularly and perform some gentle exercises provided by your physiotherapist. The chair you sit on at work may need adjusting. A physiotherapist, occupational therapist, ergonomist or kinesiologist can visit your work place to help you with this and any other modification that may benefit you. Stand up for a break at regular intervals or change position every 20 minutes. Divide heavy loads (e.g., grocery shopping) into several lighter loads for carrying. Spread the tasks out and rotate them. 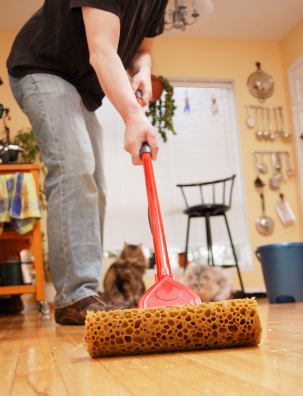 For example, do household chores over a few days rather than all at once. Bring the task closer to you. For example, when doing laundry, lift fewer clothes from the washing machine at once, or when drying clothes, lower the clothes line to reduce the strain on your shoulders and neck while hanging out each item of clothing. Similarly, kneel to weed the garden, or when trimming high hedges, don’t stretch up too high. Consider using a stepladder to improve your position but make sure it is positioned safely. These are only some suggestions to help prevent further pain and injury. We can request for a specifially trained assessorto make a home visit, determine what changes, aids of daily living and activity modifications are needed to ensure a quicker and easier recovery. Think about where and how you are sitting at the movies. Choose a seat in the centre of the theatre. By sitting straight on you can reduce neck strain and enjoy the movie. Also, use a small lumbar roll when sitting. At a dinner party, sit so that you can view people straight on. Sitting with your head turned to talk for prolonged periods can make it stiff. Avoid extreme prolonged postures of the neck. For example, at the hairdresser, if it hurts your neck to sit at the basin, stand and face the basin instead. When reversing your car, rotate your body to look behind you rather than only rotating your neck. When watching TV, practice your postural exercises during the advertisements. Try not to sit for too long. When returning to sport, consider reducing the level of difficulty and the time spent doing the activity for the first few weeks. For example, when swimming, swim fewer laps. In most cases, everything works out well with respect to getting the appropriate treatment and compensation after being involved in a car accident. However, sometimes it is unfortunate that the injured person doesn’t get enough help. It is important for the victim to know what what assistance is available and what he/she is entitled to as an insurance policy holder. For insightful information on this topic, please click here. Our health professionals have in-depth training in treating injuries associated with motor vehicle accidents. We feel that it is of the utmost importance that an early return to usual activities takes place after a car accident and that prescribed rest should always be limited to a short duration. Most importantly, the patient with whiplash needs to be informed that usual activities may be temporarily painful but are not harmful. Although whiplash is the most common injury seen after a motor vehicle accident, we also treat a variety of other injuries resulting from an accident, including fractures, sprains and strains of other body parts, and chest or knee contusions which result from impact with the steering wheel, dashboard or airbag. A detailed initial assessment addressing the history of the accident, reported symptoms and complaints, observation by therapist of injured areas of client, palpation, tests of range of motion, muscle strength and ligament stability, completion of outcome measure tests, sensation testing and any other test required for each individual case. Passive joint mobilization. A therapist gently and repetitively moves the joints in the neck region to reduce pain and restore normal movement in the neck. This can be used if it reduces your symptoms. Active Stretching, Strengthening and Conditioning Program. After an accident, people often are scared to move too much in case they hurt themselves further. This fear often can lead to greater harm if they do not move enough and end up getting very stiff. It is important to begin gentle active movements asap after an accident within pain tolerance. This should always be initiated the proper way with supervision of a physiotherapist. Strengthening and Conditioning then follow as they are two other components that help the injured client get back to their usual activities with less pain and increased energy. Acupuncture. Fine needles are inserted into specific points on the body. Acupuncture can significantly reduce your symptoms. 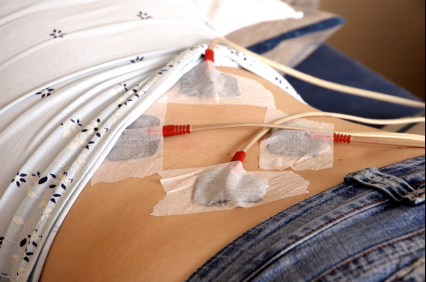 Transcutaneous Electrical Nerve Stimulation (TENS), Heat, Ice, Massage, Ultrasound, and Laser. These passive treatments/electrotherapies, if administered by trained professionals, are additional treatment options during specific time periods of the entire therapeutic program. They are used with manual therapy and exercise to help you return as soon as possible to your usual activity. Education. It is very important to teach the client the many strategies available to ensure that the person can return to their previous level of activity as soon as possible. Issues addressed include : correct posture, lifting techniques, pacing, home and work place modifications, and usage of aids in helping every day function. Anti-inflammatory medication. For more severe cases, anti-inflammatories can be prescribed by your doctor in the short term to reduce pain and swelling. Use of this form of medication should be limited as it may have side effects such as stomach pain and nausea. The staff at Queen West Physiotherapy & Acupuncture stress the importance of proper care after injuries sustained in a motor vehicle accident and encourage each patient to follow their instructions closely, following through with every component of the program. Please contact us at info@queenwestphysio.ca or call us (905-450-7870 or toll free at 1-866-410-TENS(8367)) if you have any questions.